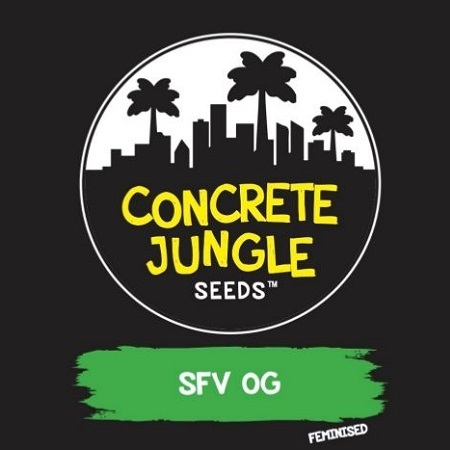 We proudly present SFV OG from Concrete Jungle Seeds, an O.G. 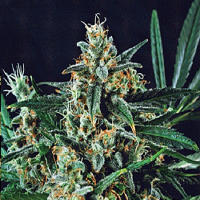 Kush line famous for its intense fragrance combining notes of lemon and fuel. SFV O.G. 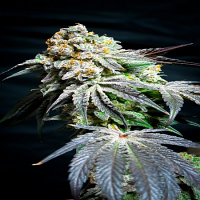 Feminized Cannabis Seeds by Concrete Jungle Seeds: We proudly present SFV O.G. 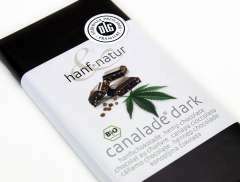 from Concrete Jungle Seeds, an O.G. Kush line famous for its intense fragrance combining notes of lemon and fuel. SFV O.G. or San Fernando Valley O.G. 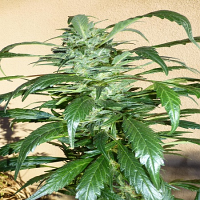 Kush, is arguably one of the most famous O.G. 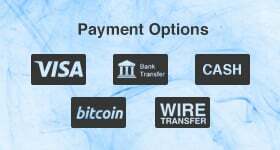 Kush strains on the cannabis market, widely cultivated around the world for its outstanding characteristics. A balanced Indica/Sativa hybrid, SFV O.G. produces plants with a columnar structure, favouring a large central cola, which makes it an ideal choice for growing in SOG (Sea Of Green). 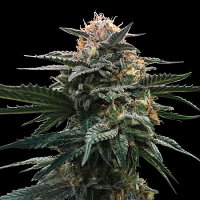 Its flowering period won't be more than 60 to 68 days, delivering a heavy harvest of dense and fleshy buds, coated with a thick layer of trichomes loaded with terpenes and cannabinoids. Once dried and cured, SFV O.G. flowers emit a complex fragrance, combining lemony and floral notes on a Diesel and earthy background, while its profoundly relaxing effect makes it a good candidate to combat stress or insomnia.